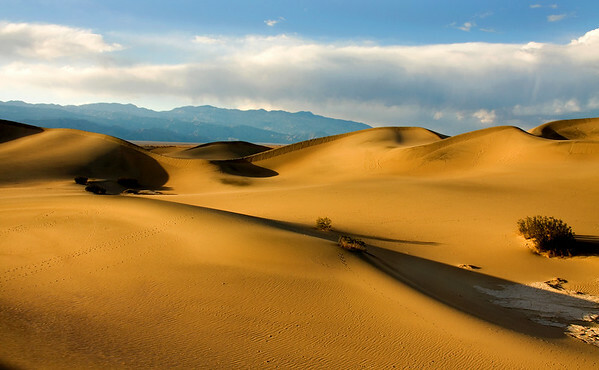 Mesquite Flat sand dunes at Death Valley National Park. 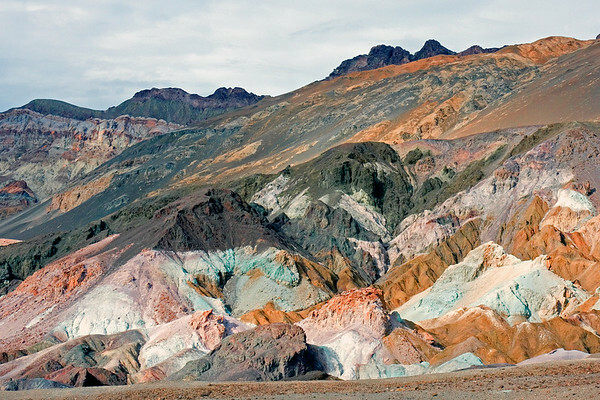 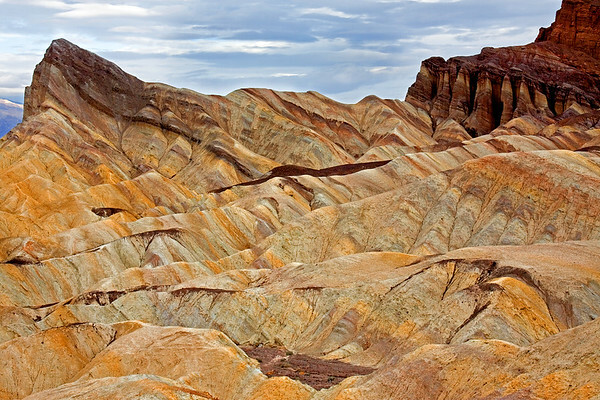 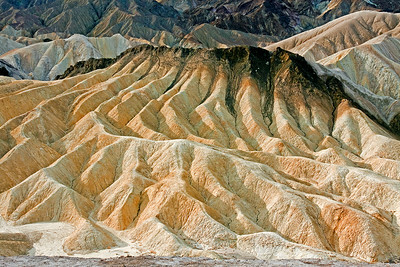 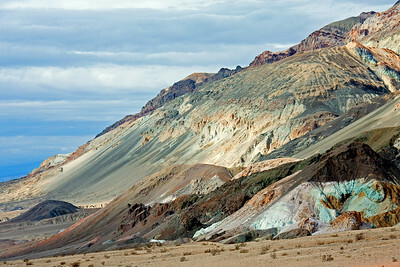 Multi-colored badlands of the Artist's Drive geologic formation in Death Valley National Park. 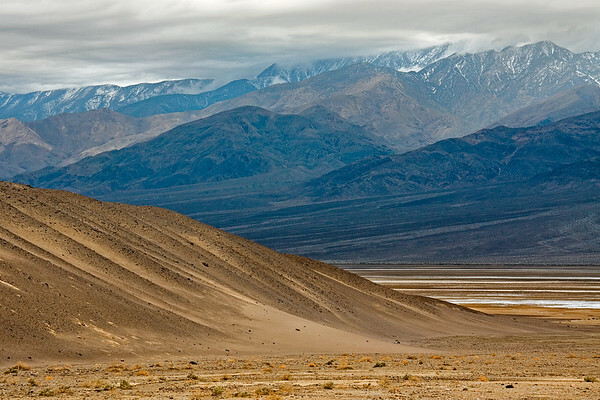 Sand dune with salt flats in background, Death Valley National Park. 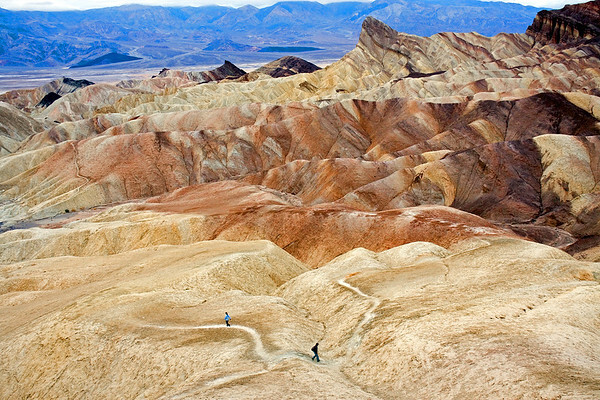 Hiking the badlands near Zabriskie Point at Death Valley National Park. 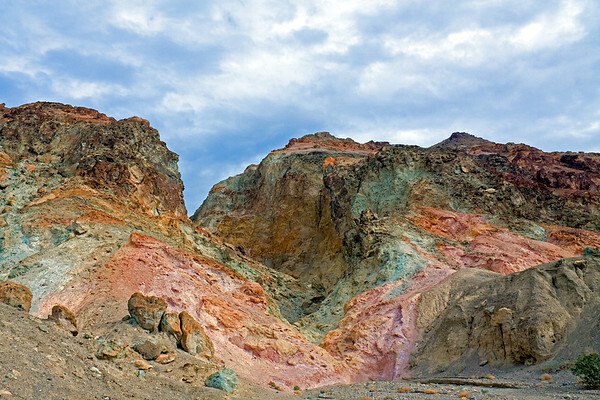 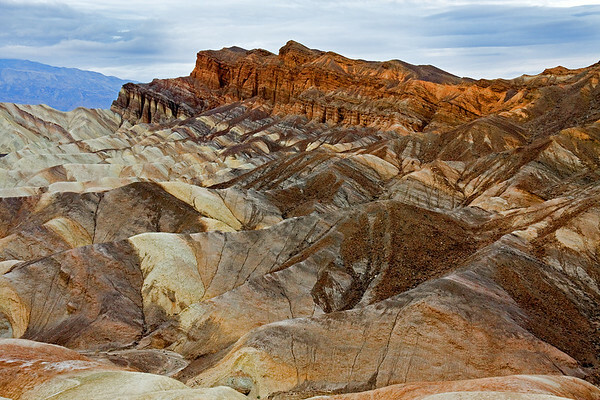 The colorful clay and mudstone badlands of Death Valley National Park. 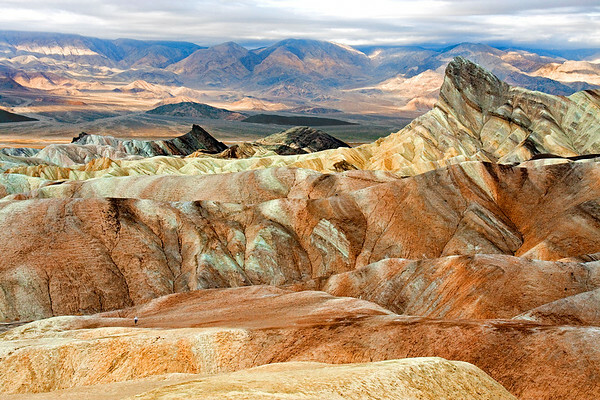 Zabriskie Point at Death Valley National Park. 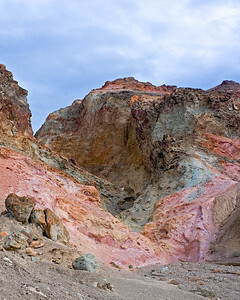 Hiking along the colorful clay and mudstone badlands of Death Valley National Park.